If high-school education is failing in the U.S., maybe Web video can help. 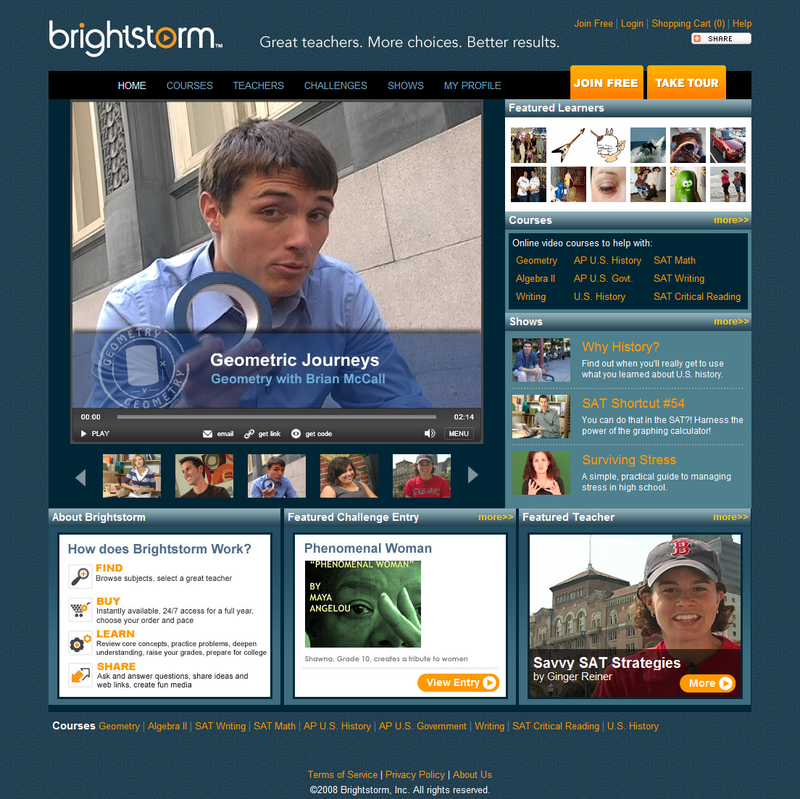 Founded last April, Brightstorm is a Web video site that brings bright, talented teachers together with students who need some extra help. Backed by Korea’s KTB Ventures, which invested the entire $6 million in the startup’s A round, Brightstorm is launching today to the public. 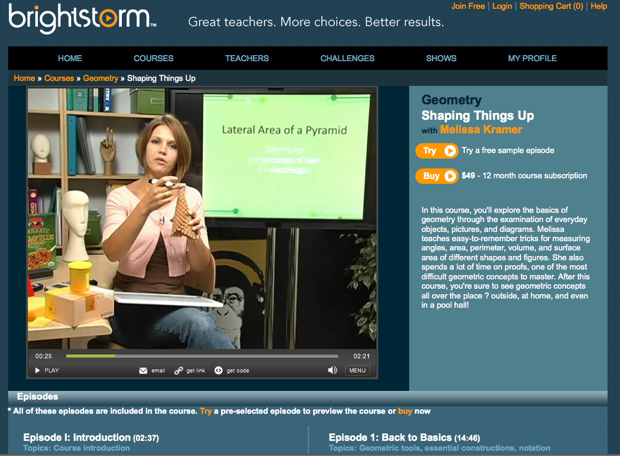 There are about 20 teachers on the site offering video courses in subjects such as Geometry, the SAT, and A.P. U.S. History. Each course is broken up into episodes that are about 10 to 20 minutes each. Each course is $50, which is split between Brightstorm and the teachers. Students can watch a free promotional video to decide if they like the teacher and want to purchase the course. These tend to be overproduced with cheesy video graphics (stop with the jump cuts already), but they do the job of getting across each teacher’s personality and teaching style. The videos are supplemented with interactive challenges, pop-up quizzes, and other bonus material. You can certainly see the appeal. If you were a high school student who needed a tutor, wouldn’t you rather watch videos on your computer for ten minutes a day than endure a live tutorial for an hour or more? Now, whether you are actually going to learn more is still debatable. But there are plenty of startups trying. Here in the U.S., there is PrepMe, ePrep, Teach The People, and Grockit. In Asia, there is iKnow in Japan and perhaps the biggest success to date is Korea’s Megastudy. No wonder KTB took the whole round.